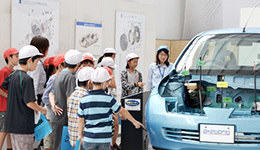 With Our Shareholders and Investors | Stakeholders | Corporate Social Responsibility (CSR) | Akebono Brake Industry Co., Ltd. 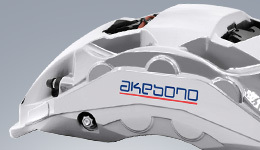 The Akebono Group strives to disclose information in a timely and highly transparent manner in accordance with a policy for constructive dialogue with shareholders and investors as well as to build a trusting relationship and improve sustainable corporate value through proactive dialogue with shareholders and investors. Akebono, in order to provide shareholders with sufficient time to consider proposals, typically distributes the Notice of Convocation of the General Meeting of Shareholders before scheduled date of General Meeting of Shareholders which is required by law. Notice of Convocation of the General Meeting of Shareholders held on June 15, 2018 was distributed on May 30. In addition, in the interest of the timely disclosure of information, a convocation notice was posted on our website on May 29 prior to distribution. Akebono typically schedules the General Meeting of Shareholders several days in advance of dates that tend to be the peak time for Shareholders Meetings. This helps to avoid overlap and facilitates increased shareholder attendance. For the convenience of the company's shareholders, Akebono allows shareholders to exercise voting rights via Internet. Since the June, 2010 General Meeting of Shareholders, Akebono has been using electronic proxy voting service, developed by Investor Communications Japan (ICJ). 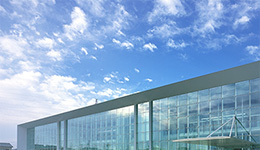 Akebono publishes an English version of the Notice of Convocation of the General Meeting of Shareholders, which is made available on the corporate web site, as well as the electronic proxy voting platform. 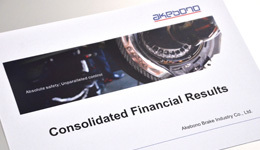 Akebono includes charts, pictures, and other useful information in the Notice of Convocation of the General Meeting of Shareholders in order to help shareholders more easily understand the information within the Notice. At the General Meeting of Shareholders, slides and other tools are used to aid in the explanation of business reports and financial documents to ensure shareholders have an adequate understanding of the content. We hold preliminary individual meetings with domestic and overseas institutional investors regarding general meeting proposals. Following the General Meeting of Shareholders, the company hosts several events, such as shareholder receptions in order to provide opportunities for shareholders to ask questions of our management team directly. 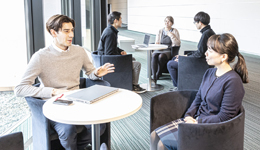 Akebono’s communication with shareholders and investors involves not only direct means, but also important tools such as the Company website and its IR activities. In particular, to ensure that shareholders and investors in Japan and overseas can access the information they need at any time, we strive to enhance the information posted on our website, and to construct and maintain the website so that it is clear and easy to use. For some time, we have engaged in IR activities through our website, posting information such as financial results, index data, presentation materials from various types of explanatory meetings or briefings summaries, Q&A (summaries) and English language versions of materials. In addition to these items, we have also set up a page called “Akebono Today,” which provides a clear explanation of the Akebono Group business model originating from the Corporate Mission, a glossary of Akebono terms, and summaries of quantitative information in a format that helps further readers’ understanding of Akebono. All of the web pages support multiple devices, including smartphones and tablets, and are presented in a layout that makes the site easy for shareholders and investors to view and use. In recognition of these efforts, we were awarded prizes in major website awards given following surveys of publicly listed companies. In particular, Akebono was rated highly in the Gomez IR Site Rankings 2017 held by Morningstar Japan K.K. with a big jump in position from 28th to 11th and the No. 1 position in the transportation equipment sector. We will continue to build an easily viewable, easily understandable website and post substantial information to enhance convenience for shareholders and investors and to expand opportunities to provide information.